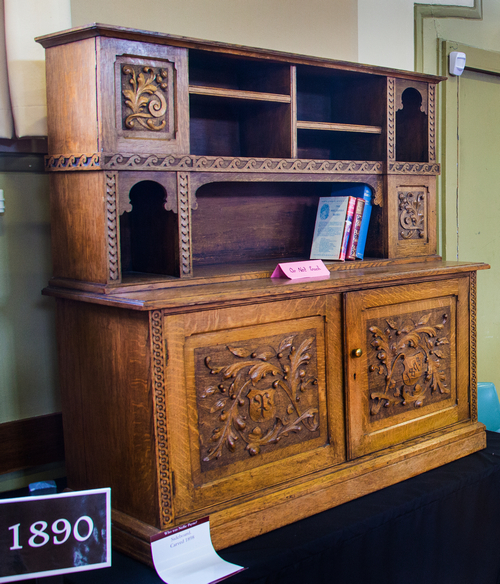 Sideboard carved 1898 probably for Payne family . Who was Nellie Payne? Apart from the year it was carved there is no further information. It is supposed that it was carved for the Payne family home. If you have any further information on this piece please get in touch with the Westbury and Districts Historical Society through the contact page.